ANDOVER, Mass. 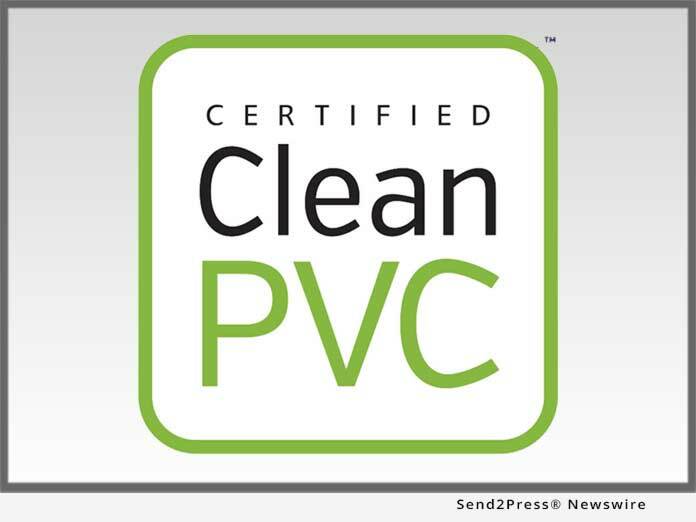 /Massachusetts Newswire/ — Clean PVC LLC, an environmental consulting organization, today announced the launch of its Clean PVC(R) Certification program. The program identifies flooring, wallcovering, upholstery, and other PVC-based products that have been found safe via REACH compliance for use in sustainable building projects. REACH is a regulation adopted to improve the protection of human health and the environment from risks posed by chemicals. To become Clean PVC Certified, products must pass testing confirming they have less than 0.1 percent by product weight of any Substances of Very High Concern (SVHCs) authorized on the REACH Candidate List. Clean PVC+(TM) Certified products contain bio-based plasticizers or no plasticizers and are also phthalate-free. Testing is performed by SGS, the world’s leading inspection, verification, testing and certification company. A Clean PVC Certified or Clean PVC+ Certified label lets architects and designers quickly distinguish products containing the safest forms of PVC from those that may not. Flooring manufacturers such as Shannon-Teknoflor and Upofloor-Kahrs indicate that their Clean PVC-Certified products have been more readily specified than similar products. Learn more about Clean PVC(R) Certification and its benefits at: http://cleanpvc.org/. Clean PVC LLC of Andover, Massachusetts is a private, environmental consulting organization unaffiliated with any company, trade group or association. It assists manufacturers in certifying that their PVC-based products are safe for use in sustainable building projects. Clean PVC is a registered trademark in the U.S., Canada, and the European Union. Trademark pending in Japan, and China.